Seton Hill University’s (SHU’s) men and women’s cross country teams travelled to Notre Dame on Sept. 17 to compete in the National Catholic Invitational. The Griffins were one of 35 teams in the competition, including 25 Division II schools. Women competed in a 5K race. 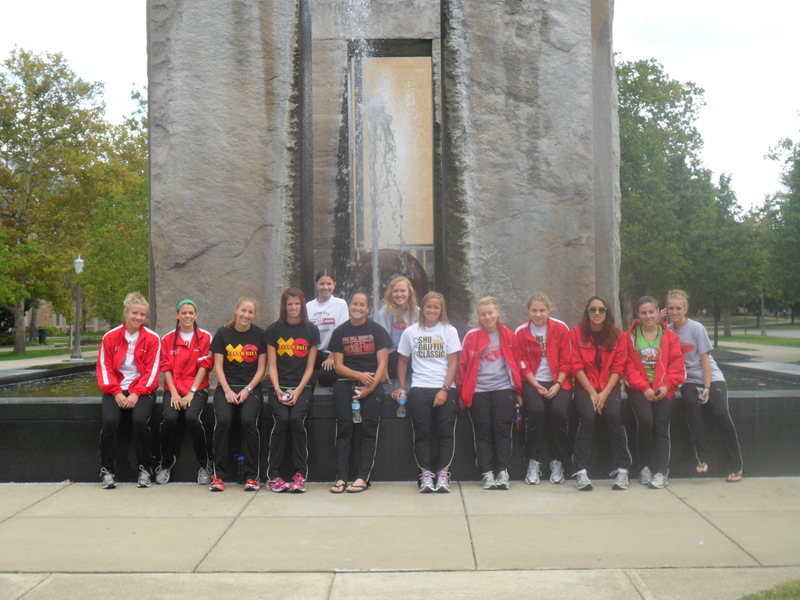 The women’s team placed thirteenth overall and fifth in the competition. It was the highest place earned by the women’s team in its history of competition at the Notre Dame campus. The Lady Griffins were led by senior Anna Cote. Cote finished 22 in a field of 280 runners with a time of 18:34. Her time earned her second place amongst Division II runners. Other top finishers included freshman Brittney Martin, junior Julie Pierret, freshman Stephanie Pryor, senior Stephanie Isacco, senior Lara Heinz and junior Dianna Griffin. Martin’s time of 19:40 placed her eighty- seventh overall and twenty- fifth in Division II. Pierret’s finish at 19:55 placed her 102 overall and 35th in Division II. Despite being plagued by illness and injury in the past few weeks, the men’s cross country team provided strong performances as well. Sophomore Jon Bogert was the top finisher for the Griffins, placing seventy- first out of 240 runners. Out of the 204 runners of. His time of 26:44 earned him twenty- fourth place. Another top finisher for the men’s team was sophomore Justin Weaver. Weaver placed 153 overall with a time of 28:22. He earned ninety- sixth place in the Division II field. Both cross country teams will travel to Lehigh University on Oct 1 to compete in the Paul Short Invitational. September 23, 2010 in Athletics.